Start with some watercolor, add a touch of collage and a pinch of print making and you have the perfect recipe for a mixed media masterpiece! Join Cathy Taylor, award winning mixed media artist and member of the National Collage Society and International Society of Experimental Artists, for an exploration into the limitless world of mixed media. Mixed Media Adventure offers enormous opportunity for creative expression...easy and non-intimidating for the beginner and expansive and challenging for the advanced artist. 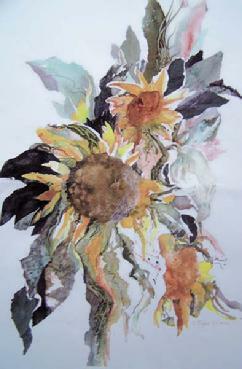 Topics include found paper collage, collage with mixed media, transfer techniques, found object collage, and monoprinting, along with other exciting techniques. *A special segment will be presented on Cathy�s award winning Anthology Series which was featured in Cloth Paper Scissors magazine. Expect a lively, fun filled workshop. Beginners who need a jump start or advanced artists who are stuck or stagnant will enjoy the wide variety of ideas and information designed to allow each person to find their own artistic voice. Loosen up, have fun, and learn lots! Each session will begin with exciting, entertaining demonstrations followed by lots of time to create. Bring a spirit open to endless possibilities, some glue, and lots and lots of stuff and junk! **Included with "Casa Santa Margherita" plans only. See details. *All-inclusive plans are Hotel plans A, C, E, G and Hostel plans I & K only. Arrival and check in. The adventure begins. Wine please!!!!!!!!!!!! AM The one with the most stuff wins! It�s a treasure hunt at the Arezzo Antique Fair, the oldest and largest in Italy with over 500 stalls brimming with artistic goodies. We will start our day with a train trip to the market to browse for collage able collectibles�old books, vintage papers, antique photographs and more. Collect the sights and sounds for inspiration in creating our mixed media masterpieces! PM Using our old papers, maps, book pages, we will create several interesting and textural backgrounds for our collage creations tomorrow morning. We will use scumbling, color tinting, paper peeling and other fun and messy techniques guaranteed to require little thought or experience. We will work quickly and intuitively, just having fun with the process! AM We will start our day with a entertaining demo featuring image transfer. 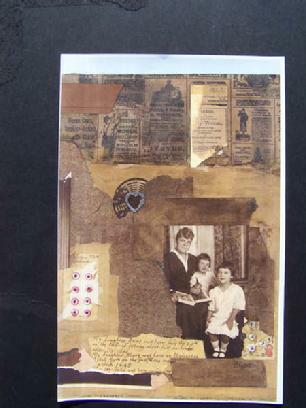 Then it�s off to the races as we add images, ephemera, and memorabilia to our collage backgrounds. We will discover the elements of design that go together to create a truly beautiful piece of artwork. PM Time for some more prep work! We will spend the afternoon creating our own beautiful archival papers. Using plain white tissue, watercolors, gum erasers, and foam produce trays, we will dye, stamp, marble, and layer papers to our heart�s content. These papers will have all night to dry while we enjoy an evening of wine and fine food and new friends! As everyone continues to work on their favorite projects, I will spend "quality time" with each artist on a one to one basis. Bring work or photos for critque, talk about the direction you would like to take with your artwork, ask questions or just visit. This is your time! 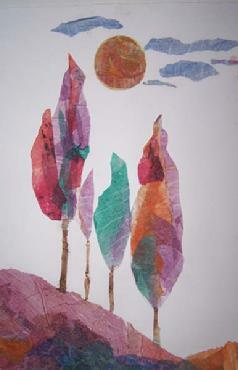 AM Layered tissue paper collage will be artistic adventure of the day. Using those gorgeous papers that we created and the inspiration of our fabulous surroundings, we will collage scenes or images from our Tuscan experience. Or create an abstract evoking your Italian art experience. No drawing skills required! PM Capture special little scenes and images using line and wash and create a mini masterpiece. I will demonstrate the simple, lovely technique of combining colorful watercolor washes with a little pen and ink to create small painterly memories. We will work from photos, sketches, or just your imagination. Add colored papers or ephemera if desired! AM Field Trip! We will enjoy our morning at the Camucia market where you will find fresh farmer produce, kitchen delights�.something for everyone. Bring your camera and sketch pad and enjoy! PM Anthologies! My collage invention using old books! Rather than altering and decorating a book, we will use old "rescue" books, vintage photos, ephemera, memorabilia, and other pieces of the past, to create fine art frame able collages. These expressive, textural collages are the perfect way to showcase your photos and postcards, trip tickets and brochures, menus and maps etc., while rescuing unwanted books from the junk pile. Feature collectibles from your trip! 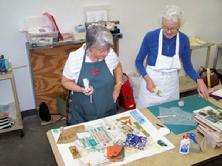 AM Let�s add some printmaking to the mix! Using a photo, brochure, magazine image, or print from our Italian experience, we will create a layered, painterly print in an easy step by step process. Even if you are a �new� artist, you will be able to create a realistic rendering! PM Can�t draw a straight line? Not a problem with this monoprint technique. Using a black and white copy of a photograph, we will create an amazing realistic drawing. Draw portraits, street scenes, animals�pick something from your week in Tuscany! These �Drawings� may be color tinted to add interest. I will bring the special ink needed!!! Group hug! Exchange art goods with new friends, take more photos, and have a safe return trip home! -Each guest must make taxi/travel requests through the Hotel Oasi front desk. I was delighted with your class. I keep having more ideas of things to do. It was great working with other people to because their work was so impressive! I used to try to paint a picture of a holiday but found it quite difficult to select a single image. This is especially true of India, where we spent several months. 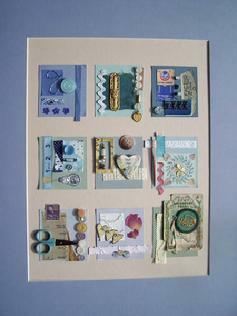 Your idea of mini collages assembled into a whole is an excellent solution to this. Since there are lots of Indians around here I may even be able to sell some (if you don't mind) not that I know where! The leaf prints were also excellent and produced so many different images at one time. I've always been a bit wary of 'altered books' but you did reassure me yours were due for destruction anyway and the pages about England seems destined for me. I'll find a picture of the king and add it to the picture. Thanks you so much and good luck with your work. Newly remodeled and re-opened after two-year renovations! 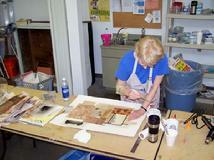 Watercolor paper � one pad of 140lb. (at least 25 sheets) 11x14 or larger if it will fit in your suitcase! Plain white tissue, 1 pkt.